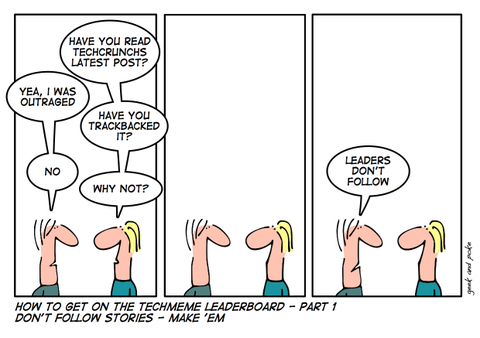 You have to make headlines to become a leader on Techmeme. Maybe a kind of strange view on journalism. Dave Winer is not really amused about this (see CrunchNotes).